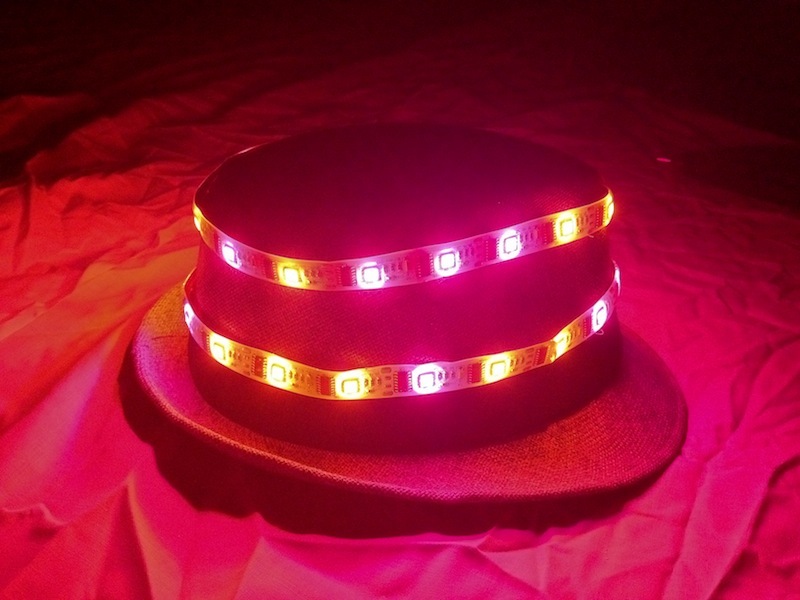 One of my first LED party contraptions was this hat I made out of a meter of individually addressable RGB LEDs and an Arduino clone. 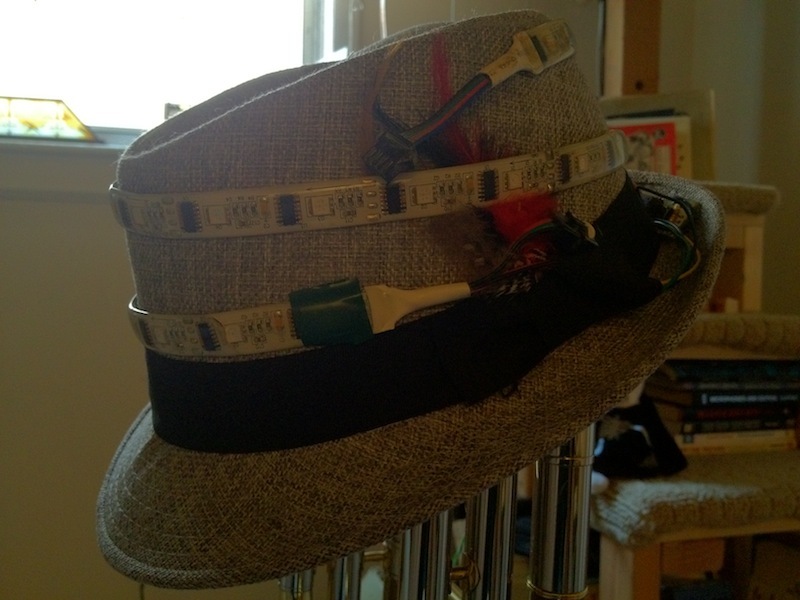 A small 5V switching regulator and a LiFe battery keep the hat blinking happily away into the morning. There’s some old hacky code posted above. 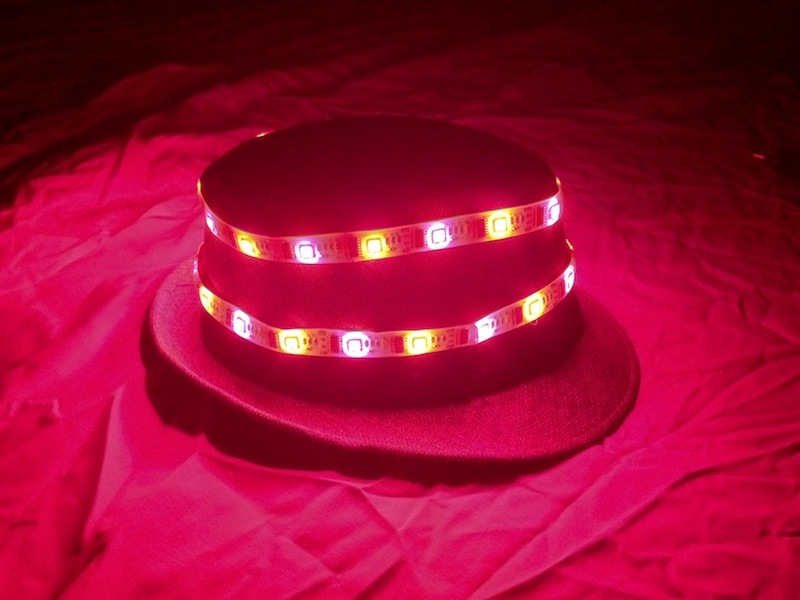 It’s based some example code I borrowed from Sparkfun’s Nathan Seidle, and has eight different blinky modes.